Freestyle Dragon constructed with traditional copper foil properties. 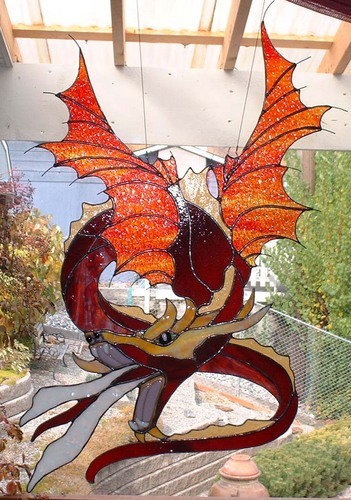 Additional features include fused glass inclusions and wires for wings. Very Southwestern. This project includes fused pottery and a free hanging feather that has studio beadworking as an additional feature. 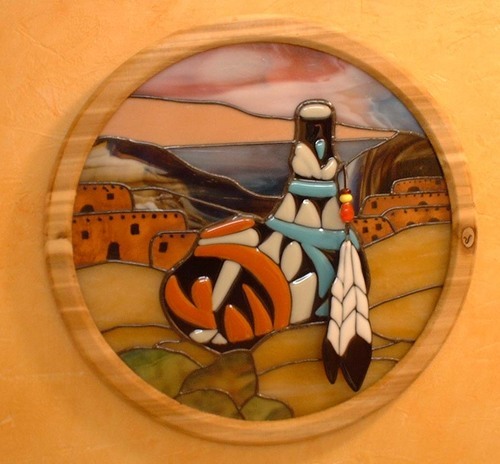 The pueblo village has traditional glass painting and the cedar circle is constructed by Vienna's "woods", Alvin Heinrich! 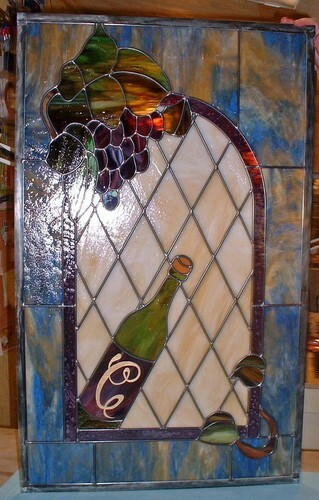 Leaded Custom Wine Door Insert. 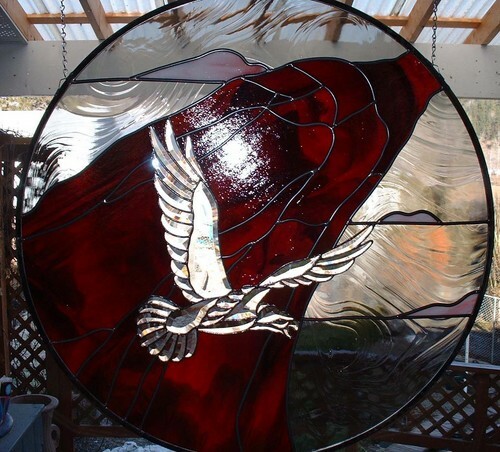 This panel was customed made by commission and done in traditional lead came. Very unique and high quality glass choices. The "C" was hand etched and 22 carat gold filled. Custom Fused Glass - We currently have 5 glass kilns on site and have the ability to slump and fuse all kinds of shapes, sizes and colours of very unique pieces. 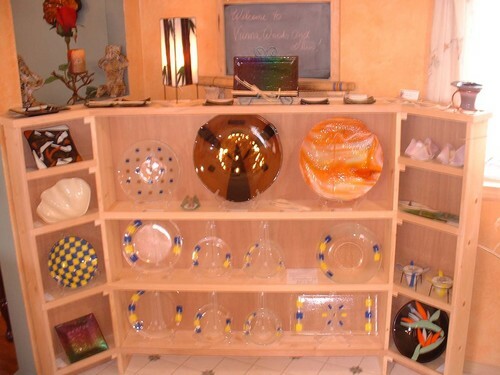 Anything from Candle Votives-Incense Burners to Decorative Dishes and pieces of very individual art.